Do you have plans to explore the world? Are you making plans for a big trip, and need some help in getting closer to your goal? 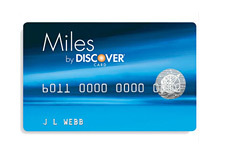 If so, then the Discover Miles card may just be the perfect card to carry in your wallet or purse. The Discover Miles card is a great way to quickly rack up some heavy-duty travel miles. First off, the card offers a 12,000 BONUS travel mile offer for all new cardmembers. In order to qualify for all 12,000 miles, a cardholder simply has to make a purchase on the card for each of the first 12 months that they have the card. If they fulfill this requirement, then the 12,000 bonus miles will be applied to their account within 8 weeks. Not only that, but Discover is also offering Double Miles on your first $3,000 in travel and restaurant purchases each year, as well as 1 Mile for every $1 spent on all other personal and business expenses. In addition to these two offers, the Miles by Discover card also offers cardholders the opportunity to book through any airline, online travel site or travel agent without any blackout dates or advanced bookings. 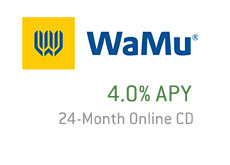 The card also offers a 0% APR rate for the first six months that you have the card - in this current economic climate, a six-month interest-free period is more than welcome for pretty much any average citizen of the United States. This card also offers a 0% rate for all balance transfers for a period of six months. If you are being destroyed by out-on-control interest rates at your current credit card company, then this is certainly an offer that you should consider. There are no annual fees associated with the Discover Miles card. 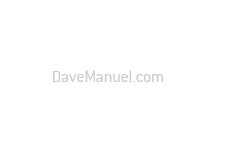 Discover is an extremely large and well-respected company, and has been in business for around 25 years. The Discover card is accepted by millions of merchants worldwide, and countless people have decided to use a Discover credit card as their card of choice. They are known for their strong customer service and value-added offers. Applying for a card does not take long. The application process takes no more than five minutes, and you will have a yes or no answer to your application within just 60 seconds. This is all done online (on the Discover web site), and your information is 100% secure at all times. To apply for a Miles by Discover card, click here!